At a time when less than 1 percent of American women went to college, Harriet Goodhue Hosmer studied anatomy and moved to Rome to study sculpture. In 1858 she established her own sculpture studio in Rome, leading a team of more than twenty men. Hosmer often depicted strong female figures. In Greek mythology, Medusa was a beautiful woman whom the gods transformed into a Gorgon, a creature with snakes for hair, whose gaze turned those who looked at her to stone. 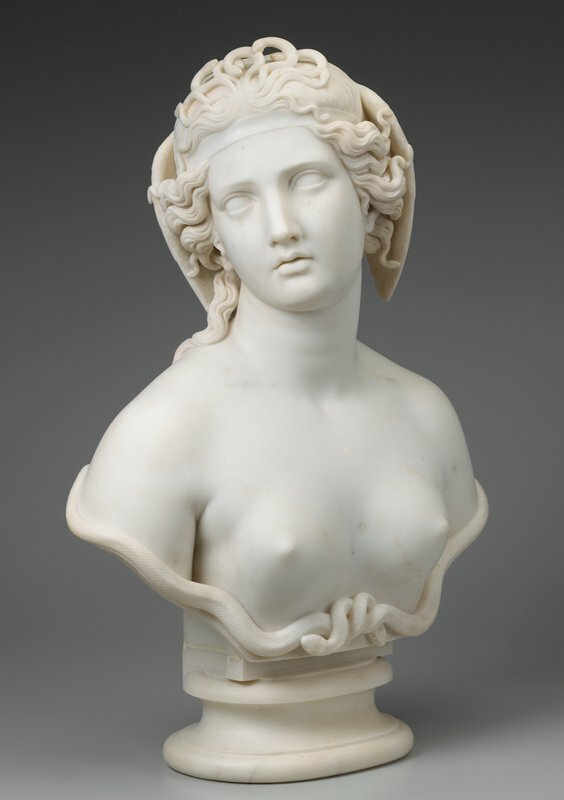 Hosmer’s compassionate rendering shows Medusa’s transformation in progress, snakes intertwined with her lovely hair.